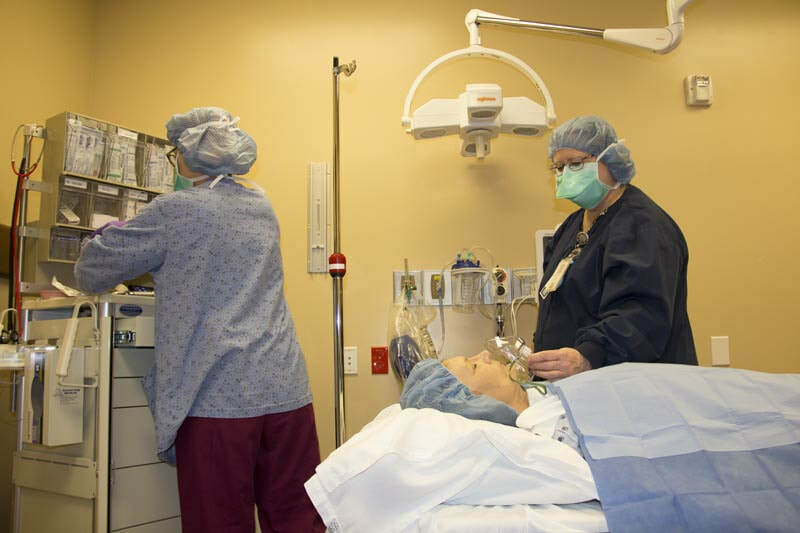 ​Certified Registered Nurse Anesthetists (CRNAs) are licensed to practice independently in the State of Nebraska and work in cooperation with a patient’s doctors and surgeons. Providing round-the-clock services in many area’s of the hospital, Tri Valley’s two CRNAs, Connie Hill and Josh Hill, perform General Anesthesia, which involves putting patients to sleep, and Regional Anesthesia, which includes spinals, labor epidurals, epidural steroids for low back and leg pain, and blocks that can be placed so that almost any area of the body can be separately put to sleep to enable a patient to be comfortable when a surgeon operates. 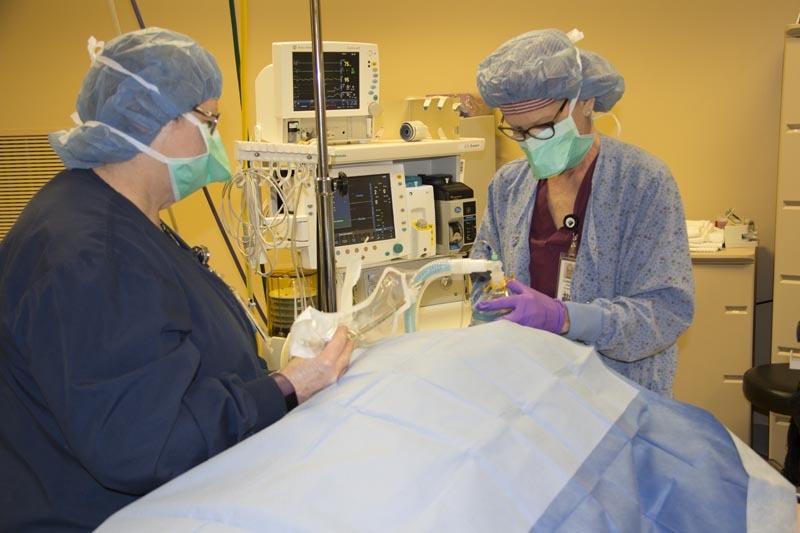 ​They also provide sedation for scopes including gastroscopies and colonoscopies and for other minor surgeries. Furthermore, Connie and Josh are called upon for difficult IV starts and can use ultrasound to place central lines and special nerve blocks for post-operative pain control. Working with patients of all ages, they can be seen in many areas of the hospital including intensive care units, labor and delivery units, surgery, pre-op area, post-op area, procedure room and the emergency room. They are also airway and breathing specialists and may be called upon to place endotracheal tubes in order to save a patient’s life. Connie Hill, CRNA, received her Licensed Practical Nurse degree from Colby Community College in 1983 followed by her Associate Degree in Nursing from Dakota Wesleyan University in 1993. Connie then went on to obtain her Bachelor of Science in Nursing in 1999 from Creighton University followed by her Masters of Science in Anesthesia from the University of Kansas Medical School in 2002. Currently, Connie is a member of both the American Association of Nurse Anesthetists and the Nebraska Association of Nurse Anesthetists.